Plan ahead for ETS schedule changes and seasonal service reductions, starting April 28. 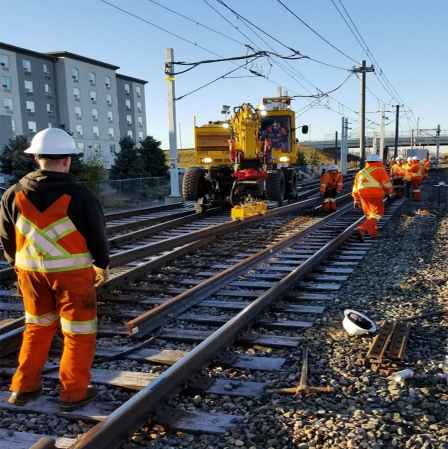 There are major LRT maintenance projects coming this spring/summer. Please plan ahead. Beginning March 1, changes will be made to paid reserved parking. Edmonton’s bus routes will be changing in July 2020. The new network focuses on connecting people to places and to each other. 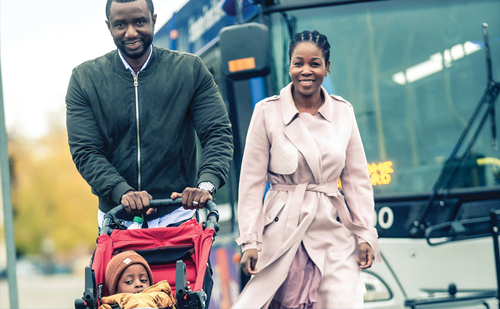 Children 12 and under can now ride ETS free when they board the bus or LRT with a fare-paying adult. Day Pass $9.75 Allows for unlimited travel on ETS for one adult. Valid between April 1, 2018 - March 31, 2019. Passes valid between April 1, 2018 - March 31, 2019. Download transit - a third party app that tracks your bus in real-time anywhere, anytime from your smartphone. Find real-time departures for all bus routes. Get real-time departures for all bus routes by sending an email. View detours and bus stop closures, route and bus stop schedules or subscribe for alerts. Trip planning optimized for your mobile device including saved locations. View a summary of service for your junior/senior high or post secondary school. Send a text to 31100 and get bus and LRT schedule information sent to your mobile device. Automated bus and LRT schedule information anytime.